Nora (Marie Leuenberger) is a young housewife and mother, happy with her husband Hans (Maximilian Simonischek). Things could go on forever like they have and it feels like they did. But even the remotest Swiss town will be touched by the 68 movement. For Nora it comes in the shape of the discussion about the right for women to vote. And she finds that in 1971, this really shouldn’t be a discussion anymore, but a reality. As she starts to campaign in her village, though, she realizes that far from everybody shares her conviction. 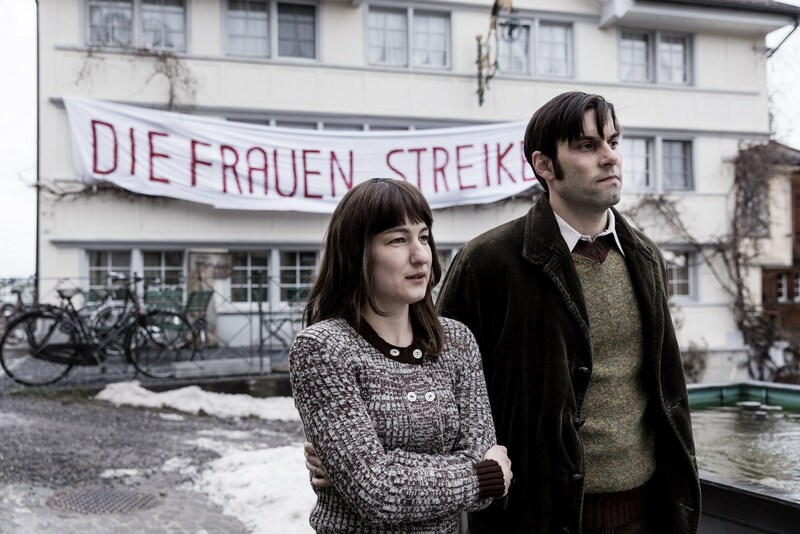 Die göttliche Ordnung is a lighthearted, feminist comedy that manages to balance serious politics with a sense of humor. It’s enjoyable, though maybe a little too well behaved. It really is incredible to think that it hasn’t even been 50 years that women got the right to vote in Switzerland, a supposedly developed country. And even then, when the rest of the world had pretty much done it already, it was a fight for it to be established. It just goes to show that things don’t happen on their own – you have fight for them. Die göttliche Ordnung makes this point in a very charming way and with well-drawn and acted characters (on a sidenote: this is the third film I’ve seen Ella Rumpf in, the third film in which she rocked and, if you want to call Swiss German a language on its own, as I would, the third language I saw her as a native speaker as. Damn impressive multilingual people). I really understood all of their positions, even when I didn’t agree. As I said, it nicely balances the seriously political with a sense of humor and while it probably won’t have you gasping for breath from laughing, it’s entertaining throughout and there isn’t a boring minute. It’s also inspiring in that it shows the positive sides of political activism, the empowerment and the camaraderie. But for my taste, it also was a little tame. That women should be able to vote is not something that is contested anymore, apart from the worst of hardliners, so it could have been used as a starting point to point out the various connections with other issues. Instead the film is content with sticking to this point, and this point only, told from a perspective that doesn’t stray too far from being middle-class. I would have loved it to be more revolutionary and less nice. But either way, I enjoyed it. Summarizing: Fun and entertaining, albeit playing it to safe. 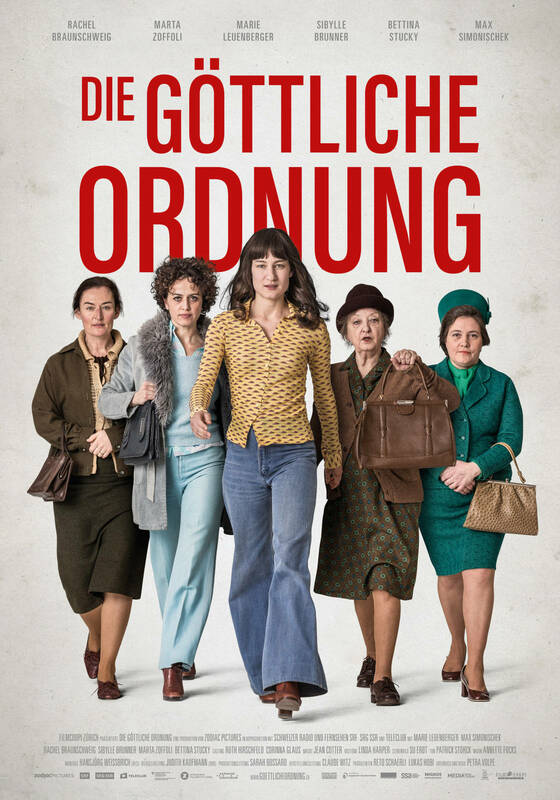 This entry was posted in female director, female writer, movies and tagged 2017, Bettina Stucky, Die göttliche Ordnung, Ella Rumpf, Marie Leuenberger, Marta Zoffoli, Maximilian Simonischek, Nicholas Ofczarek, Noe Krejcí, Petra Biondina Volpe, Rachel Braunschweig, Sibylle Brunner, The Divine Order by kalafudra. Bookmark the permalink.